The following is history of the first four years of pioneering NIU UBF at Northern Illinois University. Our prayer from the beginning is that God may establish a 1:1 Bible study, discipleship ministry where our fellowship can be a spiritual shelter and a refuge to many NIU students. NIU is a state campus situated 70 miles west of Chicago. It is surrounded by cornfields and the ever-advancing urban sprawl from Chicago. It is located in the town of DeKalb and adds 25,000 students to the population of this small university town every school year. NIU sits on a sprawling 500 acres campus and has students from over 90 countries. There are several PhD programs. The campus is known for its accounting, business school, computer programming and education departments. It is also the home of the Huskies. Indeed NIU is poised to be a very influential campus in the western suburbs of Chicago, both scholastically and spiritually. 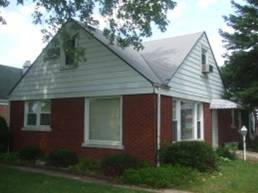 NIU UBF was first pioneered in April 1998, by the house church of Kevin and Julie Jesmer, who were members of Triton UBF, in River Grove IL, under the leadership of Shp Teddy and Liz Hembekides. Kevin had been working as a home healthcare nurse and Julie was an administrative assistant. They had three small children, Jennifer (4), Augustine (2), and Sarah (1). Their house church was growing and bearing fruit. In many ways they were content to stay put at Triton UBF and not let anything rattle the future of their new house church. But God had other plans…. First, prior to 1998, God had sent several NIU students to study the Bible at Triton UBF. One of them, Keith Grumbine was coming the Sunday service at Triton. It was difficult to serve his spiritual needs because someone had to drive 60 miles to pick him up and then drop him back off at the campus. It became clear that if any pioneering work at NIU was going to take place it would have to be done through someone who lived in DeKalb. Second, NIU was a very strategic campus in the Chicagoland area that needed to be pioneered. Near Dekalb is the 88 tollway; there iss the Metra station; there is the Chicago urban sprawl; it is an affordable state University; students who studied at NIU could be followed up on when they went back to Chicagoland; it is also within acceptable driving distance to Triton UBF. (one hour away). The campus was a perfect mission field. 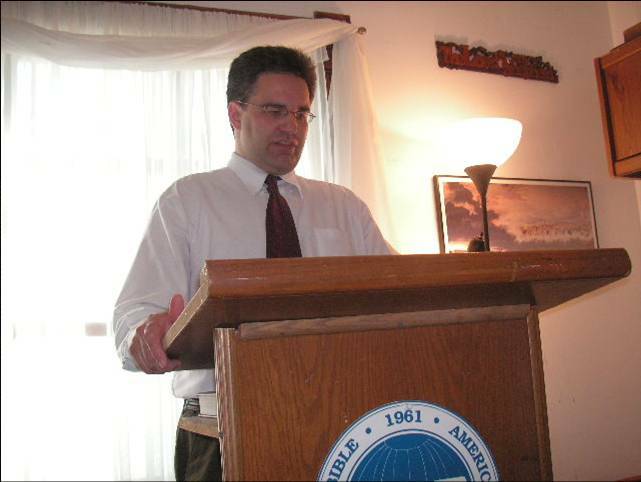 Third, Pastor Teddy Hembekides, of Triton UBF, had been praying for years for the pioneering of NIU campus. He always had hope and vision to pioneer the western suburbs, in keeping with the prayer topic to make America a Kingdom of Priests and a Holy Nation. So, in November 1997, Shp Teddy began to talk to the Jesmers about pioneering NIU campus. 2. God Had Already Been Laying The Foundations. Ephesians 2:10 reads, “For we are God’s workmanship, created in Christ Jesus to do good works, which God prepared in advance for us to do.” Through the pioneering of NIU UBF we learned just how true this was, for God was preparing our mission field in advance for us. First, Triton UBF members were taking classes at NIU. Abraham D. was studying to get his CPA in accounting. Shp Julie also began to take courses at NIU in order to finish her bachelor’s degree in Russian language and literature, commuting one hour each way for several semesters. She had to tackle 400 level Russian courses only offered every few years, though she rarely spoke or heard Russian. Between professor’s unwillingness to offer her classes and sabbaticals between five children and the demands of ministry and family life, she held onto the prayer topic and finished her degree in 2003. Second, the Jesmers were ready and able to go out and pioneer a new chapter. Kevin had been in UBF since 1986 and Julie since 1987. They both had received discipleship training and were faithfully teaching the Bible. 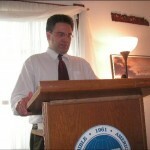 Kevin was a Fellowship Leader and occasionally delivered messages at Triton and during conferences. Their jobs also allowed them the flexibility to go. Kevin was an RN for four years and could work at the local hospital. Julie’s administrative work was also doable almost anywhere. They were ready and able to answer God’s call. After the joint Easter Bible Conference in 1998 with DePaul ministry, Pastor Mark Vucekovich commissioned our family to the pioneering work of Northern Illinois University, and with our three small children, we began the work. 3. God Provided Everything We Needed. Matthew 21:33 reads, “Listen to another parable: There was a land owner who planted a vineyard. He put a wall around it, dug a winepress in it and built a watchtower. Then he rented the vineyard to some farmers and went away on a journey.” Just as the landowner provided all that the tenants needed to live a productive and fruitful life and bear lots of fruit, God provided all we needed to bear spiritual fruit for his glory. God provided everything for life and ministry. First, God led us to the perfect Bible house. Shp Julie had some experience in real estate, and scouted out possibilities before classes. The perfect house was situated on the lower right hand corner of the campus map, yet isolated from other homes by the railway. Our next-door neighbor was a devoted Christian business owner, and allowed the use of her 10-space parking lot on Sundays and evenings. Third, the Jesmer family grew in number as a house church. Hope and Mark were born in DeKalb (1999 and 2000.) The Jesmer children were instrumental in the pioneering of NIU UBF. All of the children co-operated with the mission from a young age, and from the age of four they began to attend Sunday worship service. They bore the hardships of commuting to Triton on Sunday, only to come back to NIU for a 6:30 pm Sunday service. They understood the mission their family was called to do and they participated from their hearts, willingly and joyfully. They have always been a source of joy and encouragement from the beginning. When students and co-workers came and went, there was always the children, learning and growing in the ways of Christ. In many ways, God used them to help the Jesmers and Carrie to carry on in their mission. Their young faith continues to strengthen all of us to this day. God gave them his abundant word through our relationship with Triton UBF. For three the first three years we were fed through our Triton ministry. Shp Kevin studied Romans 1-to-1 with Shp Teddy, and Koinonia Fellowship was established on Tuesday nights with all of the senior women and Shp Liz. We attended CBF and Sunday service. This was necessary to strengthen their hearts and keep their mission in clear focus. Luke 9:23-24 reads, “Then he said to them all: ‘If anyone would come after me, he must deny himself and take up his cross daily and follow me. For whoever wants to save his live will lose it, but whoever loses his life will save it. '” In order to follow Jesus, as his disciple, one must learn one important principle, that is, the principle of self-denial. They must also learn to pick up their own cross, which is not always pleasant. 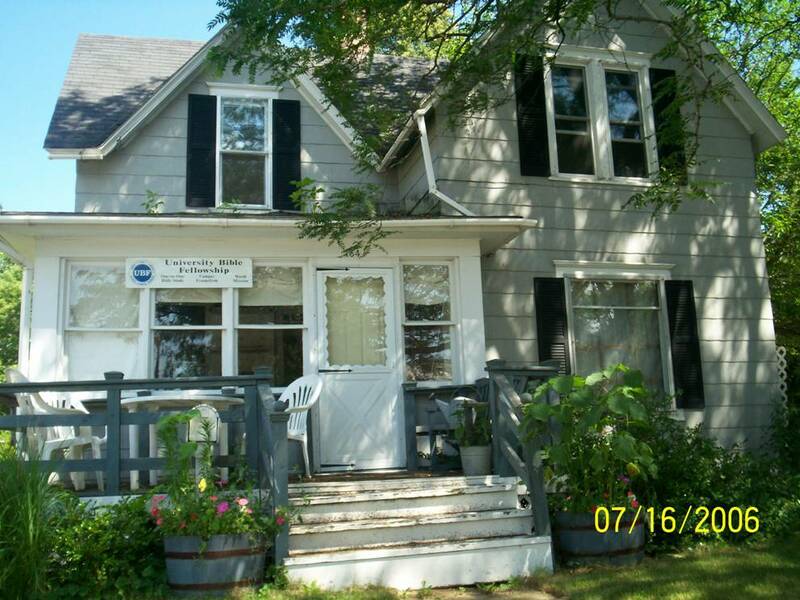 God called the Jesmer house church to deny itself, to pick up its cross and follow Jesus in the pioneering of NIU campus. First, commuting was a heavy cross. The Jesmers commuted to Triton UBF (120 miles round trip) at least three times a week with the kids. Julie would attend her woman’s meeting. Kevin attended the fellowship leaders group. They attended the Saturday Group study. The kids and Julie would come to Saturday CBF and we would come to the Sunday Service. Julie commuted to work in Broadview, IL, then Downers Grove, IL (45 minute commute) every weekday. They spent more time on the expressway than at home. Eventually in DeKalb an independent group Bible study, plus a 1:1 ministry grew. The three year connection with Triton UBF was necessary in order to maintain their hearts and relationships, and keep them strong in the word of God. Shp Teddy and Shp Liz gave unlimited support. Later, in God’s right time, NIU was ordained as an independent UBF chapter in 2002. There were many sacrifices of time, money, comfort, and wear and tear on the van, but God definitely had a plan to prosper our ministry. God was with us in so many ways. Night shift was another difficult cross. Shp Julie had to commute to work everyday. She would leave in the morning and not get home until 7pm sometimes. This was hard on her because she is mother and wanted to spend more quality time with the kids, but was unable to. Shp Kevin had to work night shifts at the local hospital and take care of the kids during the day. He would have to sneak sleep in when the children took their naps. Finding baby sitters was another cross. Seeing that Julie’s family was in LA and Kevin’s was in Canada, and all of their friends and co-workers were in Chicago, they had a baby sitter problem. God provided one however, Theresa. Kevin would have to transport them to the babysitters in order to go invite students to Bible study. Without a second car, he would sometimes bike them one mile or walk them in the stroller. Each trip to campus cost a baby sitter fee. But God gave Kevin strength. Having no mature co-workers was another heavy cross. God sent Bible students, there were the children, there was Shp Carrie and Kevin and Julie had each other, but there were no mature co-workers locally to tend the beautiful vineyard that God provided. It seemed that nobody wanted to come to NIU and serve the campus as their mission field. Sometimes this was a source of discouragement, but God helped us to realize that we need to pick up our own cross and not expect others to pick it up for us. Throughout her life of faith and mission, God has given Julie ongoing struggles with personal pain issues, first with tendonitis of the wrist and currently with torn tendons in the hip. 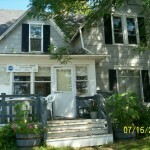 Each condition was hard to diagnose and took many years of conservative treatment. As with Apostle Paul, she has come to accept these ongoing pain issues as God’s grace to an otherwise very able person to keep her quietly depending on God for strength moment by moment. God also help us through our Triton coworkers. Many times co-workers came to support our SWS. Richard C. made it his personal mission to come every Sunday for a time. Our coworkers from De Paul UBF graciously offered their Christmas offering to the NIU ministry for which we are eternally thankful. Shp Teddy endlessly, and unceasingly prays for and supports the pioneering of NIU as well as our co-workers from Chicago. Triton supplied us with 10 imprinted hymn books and 20 chairs, and more than once sent serving servants for bible house clean up days. 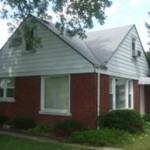 They provided material help in the initial purchasing of the Bible house. 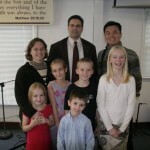 Prior to 2002, NIU co-worked with Triton ministries for joint conferences and Bible schools. Other Bible students who were involved in NIU UBF in these first years, (prior to 2003) were Jennifer E, Laura R, and Bill and Mary M, Heather R, Andy M, Sarah K., Laura T (History), Anna Z (Math), Ashley K (Meteorology), Katie Q (Special Ed. ), Anna R (Business). We thank God for privilege of serving these people with the word of God and prayer. They were a blessing to us all. During the first four years, God accepted our five loaves and two fish to use NIU ministry in world mission. In 1999, Kevin attended the Indian Summer Bible Conference in New Delhi. In 2000, Shp Carrie attended the Russian Summer Bible Conference. 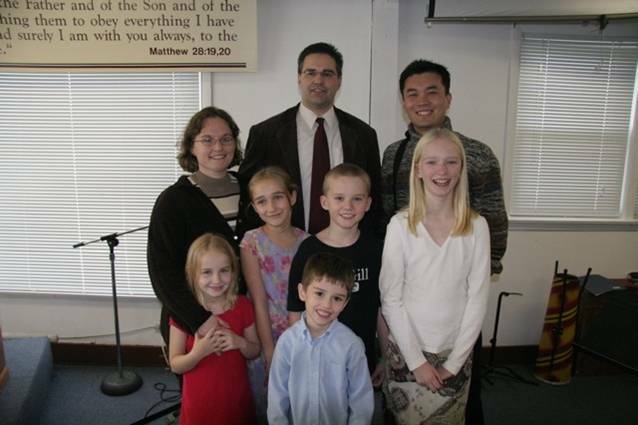 In 2002, Carrie went to Guatemala as a short-term missionary and then to Korea, Shp Julie attended the European SBC in Germany, Shp Kevin also went on the Korea Journey Team. Loyola Fellowship in Chicago held their SBC at NIU, and we co-worked with Triton and Seattle ministries for Acts Bible School and a Women of Faith Conference in San Francisco, CA. Over the years, Shp Julie has also been blessed to help out with registration at regional and international conferences. NIU seems a very small corner of the world to be working in, but when we maintain world mission vision we can even be used by God for his world mission purpose. Luke 19:17 says, “’Well done, my good servant!’ his master replied. ‘Because you have been trustworthy in a very small matter, take charge of ten cities.’” Though NIU is a small and seemingly forgettable place, through this word of promise God gave us hope to be used by God in cities beyond DeKalb if we remained faithful to our mission. In a sense it was like Jesus saying, “Be faithful to DeKalb mission field, and I will let you serve all the surrounding cities on this end of the Chicagoland suburbs.” We began to see the vision of God to place us at the western end of Chicagoland, where we could co-work with other servants of God in Chicago, to serve commuter students from the Chicago suburbs. We could pray that the region of Dekalb, Elgin, Aurora and Rockford, (D.E.A.R) with its many two year colleges and a couple of universities, may become a King of Priests and a Holy Nation. What a blessing and privilege it is to be called to be a pioneering house church. The pioneering of NIU was not just one sacrifice after another. With every spiritual act of sacrifice there is God given joy. The children are blessed, both humanly and spiritually. We could grow personally and as a family in the word of God and prayer. Kevin and Julie could grow together in one heart and mind. We could experience spiritual joy as our Bible students accepted Jesus and grew in faith. There were tears of sorrow and of joy. We could serve our Lord Jesus in this small and intimate fellowship and be abundantly blessed. We thank God that we could play an active part in God’s redemptive history. The promise of God in Isaiah 32:2 is that one person or one house church can have a great influence once they are rooted in God. “Each man will be like a shelter from the wind and a refuge from the storm, like streams of water in the desert and the shadow of a great rock in a thirsty land.” God is making NIU UBF like a shelter in the storm for several lost and wandering students and will continue to do so. May God use NIU to co-work with all the Chicagoland ministries to shepherd God’s flock, especially in those cities D.E.A.R. to God.